PRODUCTS – SM Cladding Solutions Inc.
At SM Cladding we work mainly with three important suppliers; Larson® (by. 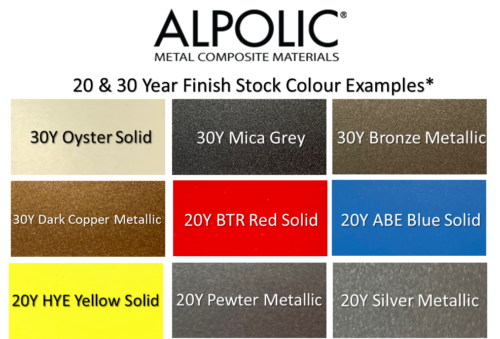 Alucoil®), Alpolic®, and Alcotex®. 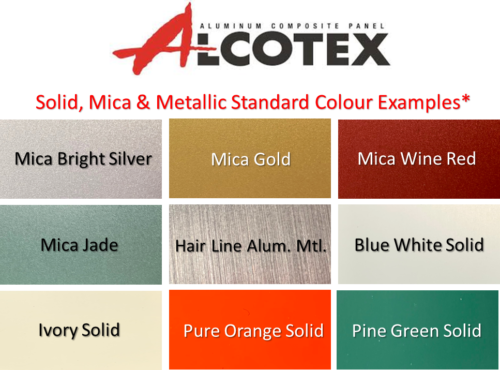 We are proud to work with these companies in order to deliver the customer all custom colour needs. With our suppliers, we can produce over 150+ colours and finishes. 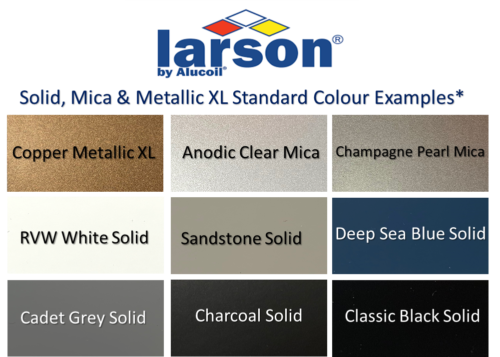 Below, are a few examples of standard colours our suppliers and SM Cladding can offer you.